Why a Wonderful Muslim Boy Would Become A Monstrous Murderer? 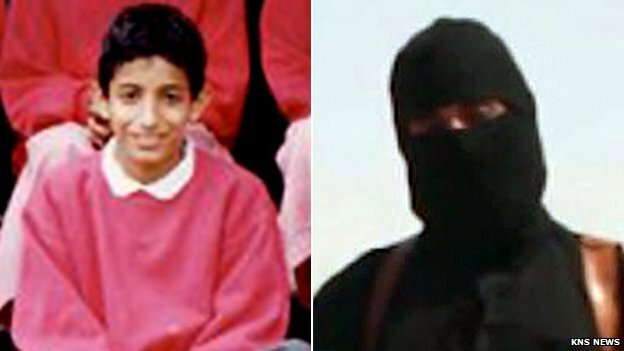 Too much is written about how a wonderful and lovable child Jihadi John was and how the UK society failed this wonderful person, and forced him into become a cruel murderer. Indeed the whole world is wondering how such a wonderful boy could become such a monstrous murderer. A study at Yale University titled “The Moral Life of Babies” has shown that children are born with an innate sense of right and wrong. While even babies have the sense of good and evil, Jihadi John is not a child. He is a 26-year-old adult. The reality is that Jihadi John was a true, moderate, good, moral, pious Muslim following exactly the teachings of the Quran and Sunna of Muhammad. to carry out “execution (by beheading), or crucifixion, or the cutting off of hands and feet from opposite sides”. to “smite all their finger-tips off” is such evil, evil. 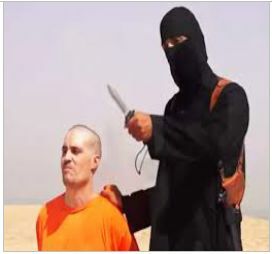 Although born with innate sense of good and evil, such monstrously barbaric commands of the Islamic God turn some Muslims like Jihadi John into murderous monsters. Jihadi John is also emulating the actions and deeds of Prophet Muhammad, whom all Muslims consider the finest and the ideal person for all time to emulate. 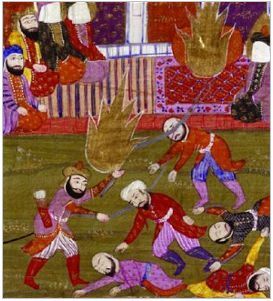 At the massacre of Banu Qurayza, Muhammad ordered a trench be dug in the city center of Medina into which bodies of 600 to 900 Qurayza captive men were dumped after beheading with Muhammad personally initiating blood-fest by beheading 2 Jewish leaders. When somebody tells me that my religion gives me the right to kill people then I know that this religion is evil. Islam is such an evil ideology. To believe that God sent Angel Gabriel to transmit the Quran to Muhammad is such evil evil. ALL these verses and ALL verses of the Quran were not from God but from Muhammad. Every word of the Quran was from the brain and mouth of Muhammad. This is what makes All Muslims so disgustingly evil. They take God and turn him into a criminal to justify their great crimes. Again - a baby knows the difference between right and wrong, good and evil. The power of Islam comes not from Jihadi John but from the 1.6 billion Muslims who by remaining Muslims give this evil ideology legitimacy. The reality for Muslims is very simple: when you belong to an evil ideology you are as evil as that ideology whether you personally commit acts of evil in the name of the ideology or not. Indeed you are as evil if not more eviler then the people committing these horrendous acts of evil. THEY ALSO SERVE WHO ONLY STAND AND WATCH.